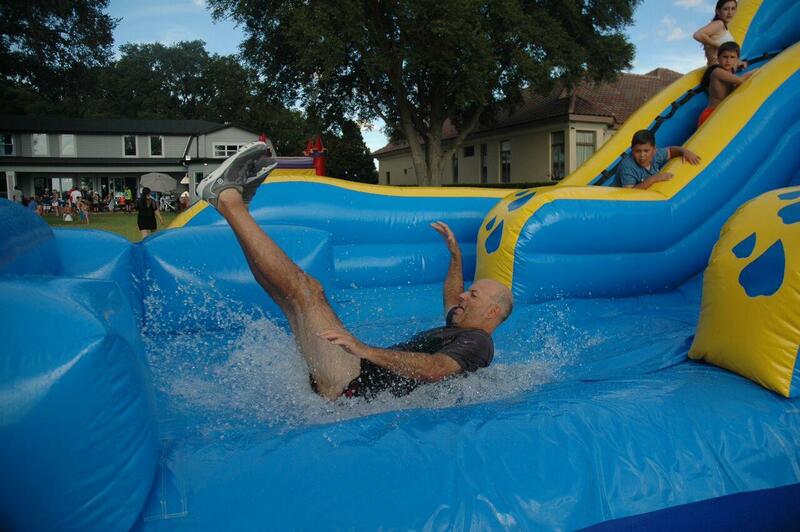 Tampa Bay's Inflatables Rental Leader! Water Slides - Bounce Houses - Obstacle Courses - Dunk Tanks - Sports and Challenge Equipment Rentals - Unique Inflatable Rentals for YOUR Special Event! 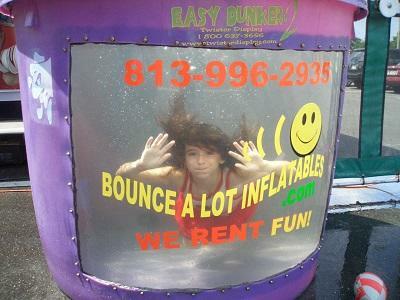 Bounce A Lot has been satisfying customers in the Tampa Bay Area since 1993. We have the experience to do your event of ANY SIZE. Take it from one of our MANY repeat customers: "We make kids tired... and parents happy!" We are THE BEST VALUE in Tampa Bay! Our service record and employees are rated 5 Stars - EXCELLENT! We carry $5 Million in insurance. After EVERY rental all our equipment is completely cleaned, SANITIZED, and always VERY well maintained. 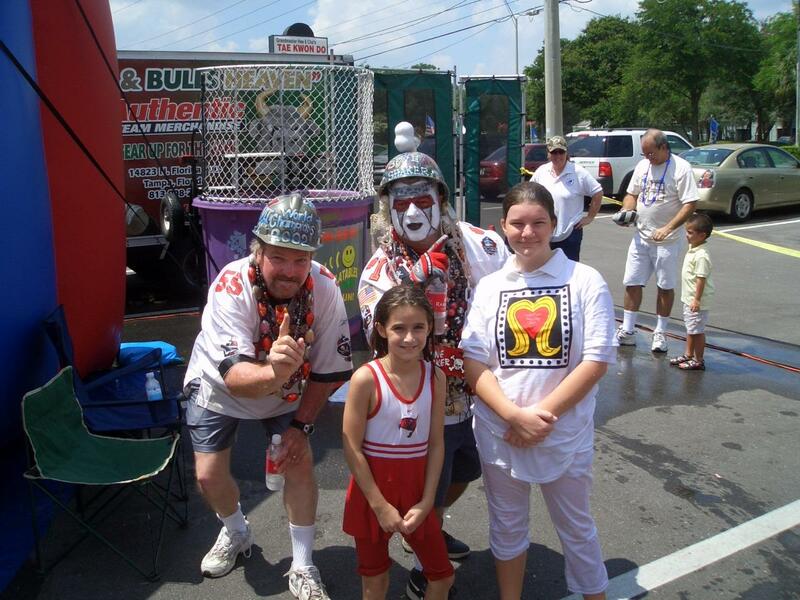 Why take chances when it comes to your child's event? 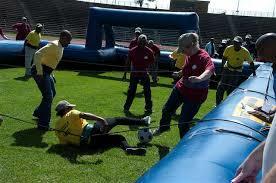 Rent your Bouncer, Bounce House, or Moonwalk from the PROS! 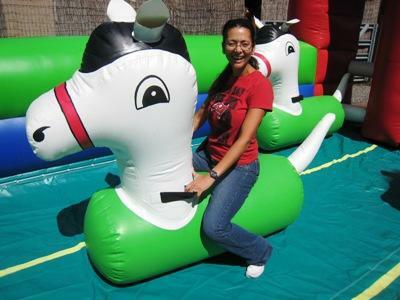 We offer 150+ units and have NEW inflatables arriving all the time. Since we carry $5 Million in liability insurance and can go to any park, school, or athletic field in all of Florida at any time. We are an approved vendor for Hillsborough County. Pasco, and Pinellas County Schools. We work with local YMCA's and over 100 churches in the greater Tampa Bay Area. 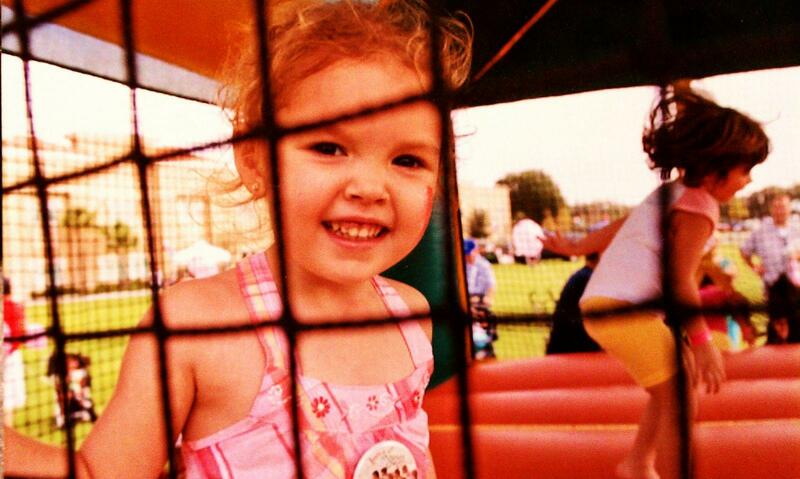 Our bounce houses are fully insured. Our inflatables are not only cleaned after every rental but they are SANITIZED with hospital grade sanitizers! We have never been late to an event - EVER. We are always early or on time. For your large events to kids backyard parties CALL US NOW! Call us with a written quote for another company and we will BEAT IT with similar items. Click on the links above to see all our inflatables, games, concessions, and party extras. CLICK ON THE LINKS ON THE TOP TO VIEW THE RENTAL EQUIPMENT AND PRICES.